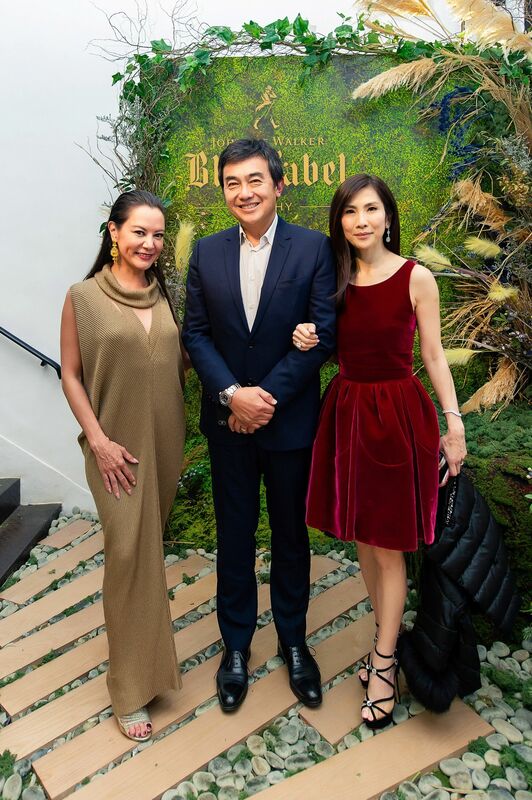 Friends of Amanda Lui gathered at Test Kitchen in Sai Ying Pun for a private dinner to toast the opening of Johnnie Walkers Blue Label Bothy, which was transformed to resemble a Scottish sanctuary in the heart of Hong Kong. The Bothy introduces a whisky experience inspired by some of the rarest single malt and grain whiskies from Johnnie Walker Blue Label’s reserves. Open until March 2, 2019, Johnnie Walkers Blue Label Bothy invites guests to experience a unique tasting of some of the rarest whiskies from across the four corners of Scotland, including a rare 1975 Cambus single cask expression. Each element of this exclusive tasting has been complemented by a private dining menu, which was created by renowned chefs Nicholas Chew and Noël Berard.